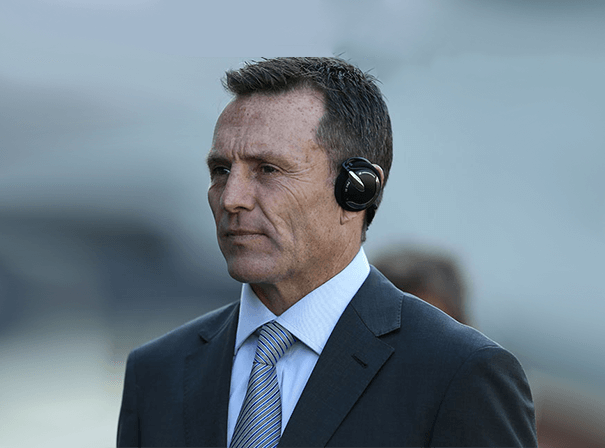 Playing professional rugby for South Africa, Joel Stransky was a real sporting force and popular hero amongst the people of his nation. Playing at fly-half, his mot high profile and famous moment was a drop goal that led to his side wining the World Cup. In the first game of the same tournament, Stransky also set a record when he scored a try, drop goal and conversion as well as a penalty in the same game, which was a win over the then champions Australia. Domestically, Joel won the Currie Cup with Natal in 1990 and then went to Italy to play with two sides in San Dona and L’Aquila. His first game for the national side came in 1993 and he remained a key part of the side until his last game with them in 1996. In 1997, the star back then went to play the great game in England for Leicester Tigers (where he played 73 times and scored 896 points) and was even mooted to play for England but eventually wasn’t eligible. Since retiring from the game and leaving a fine legacy behind him, Joel has returned to South Africa and now has plenty of successful business interest and also regularly undertakes media work. He has worked for companies like Altech Netstar (Pty) Ltd and the Steinhoff Group and has also worked as a coach with Bristol in the UK. In all he played 22 times for South Africa and scored 240 points in that time.